An abdominoplasty (tummy tuck) is cosmetic surgery to improve the appearance of your abdomen (stomach). It may involve removing excess skin and fat and tightening the abdominal muscles. Is an abdominoplasty (tummy tuck) right for me? Your Nuffield Health surgeon will carry out a detailed assessment before deciding if tummy tuck surgery is suitable for you. So that you know exactly what to expect from the results of this surgery, we encourage you to share your expectations with your consultant as early as possible. This should help you to establish a clear indication of what is realistically achievable with this procedure. To give yourself time to reach the right decision, you should make sure you leave at least two weeks between your consultation and surgery. This operation is performed under a general anaesthetic and usually takes between 2 - 5 hours. 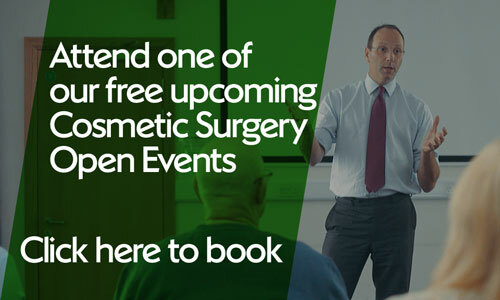 Choosing the right consultant is an important part of the process; you can see Nuffield Health’s registered cosmetic surgeons here. The area around where you will be cut should not be shaved or waxed for seven days prior to the operation. You may be able to return to work in 2 weeks, providing your work isn’t too physically strenuous. For the most successful outcomes you should keep to a healthy weight and exercise regularly. The need for a repeat abdominoplasty can be avoided if you manage to maintain a healthy weight. Should you put on, and then lose, a lot of weight you may find yourself with excess abdomen skin, which could need a repeat abdominoplasty. Post surgery pain is usually mild and easily controlled with simple painkillers (such as paracetamol). You may experience more pain if your surgeon had to tighten your abdominal muscles. The cost of tummy tuck surgery may be more affordable than you think. To find out more about the cost of treatment, complete the form below and someone will get back to you as soon as possible. Our prices are inclusive of all costs and have no hidden surprises. You have the option to pay for your procedure as a one off payment or if preferred, you may be eligible for a loan. We are confident that the price for your abdominoplasty treatment at Nuffield Health will be competitive and we are proud to deliver outstanding clinical care at a fair price.